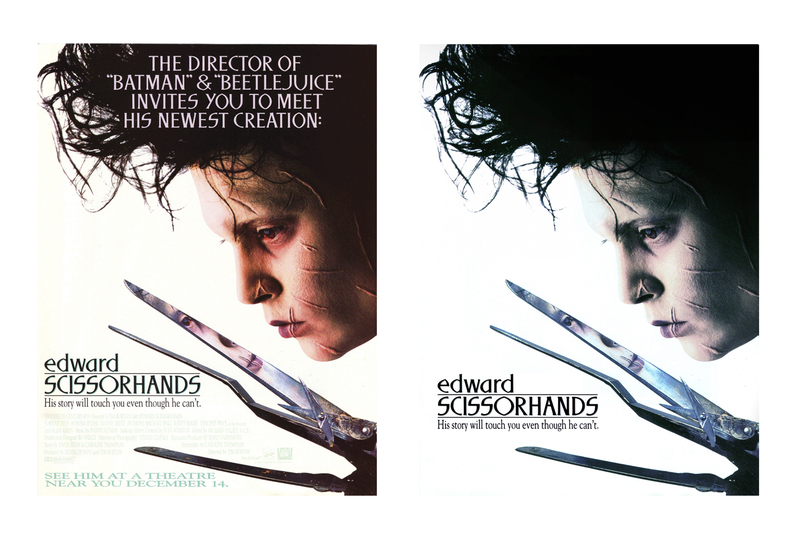 I recently found a really hi-res Edward Scissorhands poster online and took the opportunity to fix it up in Photoshop. By manipulating color levels and contrast, this is a really good example of how effective Photoshop can be. Below is a comparison of the original theatrical poster and my retouched version. I didn’t like the red tinge to the original and I removed unwanted text to simplify the composition. I normally don’t put things like this in my portfolio, but I was very happy with the way it turned out.